“One moment can change your life.” An ambitious and thought-provoking movie! 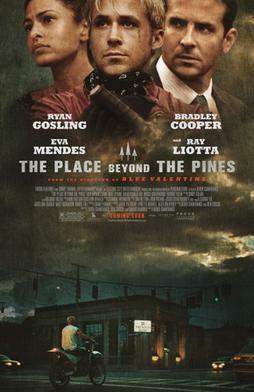 The Place Beyond The Pines is a three spereate story leading into the next about fathers and their sons, the legacy and sins involved. A great example of daring storytelling. It’s powerful, it’s bold, it hits you hard. Eva Mendes manages to make her presence felt even while the film essentially focuses on the two male characters. Her scenes, though short, show her as a confused girl to an angry lover and later, a desperate mother. Yeah, it all gets good in the movie and mostly towards the ending, I love the scene where they kissed.